Hours after FIFA released a summary of its years-long investigation into the bidding process for the 2022 World Cup in Qatar, lead investigator and former U.S. Attorney Michael Garcia said the organisation whitewashed his findings. FIFA ethics judge Hans-Joachim Eckert released a 42-page summary of the report where he cleared Qatar of any major corruption violations during the World Cup bidding process in 2010. Garcia, whose full report was controversially kept secret by FIFA, immediately issued a statement saying Eckert’s summary misrepresented the conclusions in his report. “Today’s decision by the Chairman of the Adjudicatory Chamber contains numerous materially incomplete and erroneous representations of the facts and conclusions detailed in the Investigatory Chamber’s report,” he said. 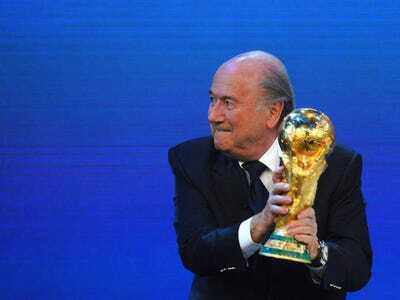 The bidding process for the 2022 World Cup has been surrounded by bribery allegations. But according to Eckert’s summary of the investigation — which, again, has been disowned by Garcia — Qatar did not commit any major violations. The investigation found that six-figure payments made to soccer officials by ex-FIFA vice president Mohamed Bin Hammam were bribes for his FIFA presidential run in 2011, not Qatar’s World Cup bid. While Bin Hammam is from Qatar, Eckert described his relationship with the Qatar bid committee as “somewhat distant.” Bin Hammam has since been banned for life twice. The report also found that Qatar paid for a congress of African football officials at which it campaigned for its bid. But this wasn’t a violation of FIFA’s rules, Eckert says. The big question now is what is the material difference between Eckert’s summary and Garcia’s actual report. In addition to Qatar’s bid, Garcia investigated ethics violations surrounding the entire 2018 and 2022 bidding processes — including bids from England, Russia, Australia, and the United States. Russia, the 2018 World Cup host, was cleared of all ethics allegations as well. According to SI’s Grant Wahl, the full report contains specific criticisms of president Sepp Blatter and other FIFA current executive committee members that don’t appear in Eckert’s summary.